The Brabham BT62 continues the legendary “BT” naming convention established by founders Jack Brabham and Ron Tauranac in the 1960s, and honours the legacy of the marque’s greatest and most memorable cars. With headline figures that point to the potency of the car, the new Brabham is pure-bred for the track and capable of setting blistering lap times. The BT62 boasts a power-to-weight ratio of 730hp per tonne, a dry weight of just 972kg and is powered by a Brabham naturally aspirated 5.4-litre V8 engine. Heralding the start of an exciting new chapter for the iconic marque, the BT62 has been specifically designed, developed and tested to reward like no other. Designed from the ground up and featuring a host of unique engineering details, the BT62 draws on the Brabham project team’s vast experience to create a car without equal. Crafted from lightweight carbon fibre, the BT62’s exterior surface and aggressive aerodynamic package combine to strike the optimal balance between function and form. Celebrating the company’s proud Anglo-Australian roots, the launch took place at Australia House in London, home to the Australian High Commission, set amidst a breathtaking assembly of historic Brabham racing cars and memorabilia evoking memories and charting the remarkable successes of the marque’s illustrious past. 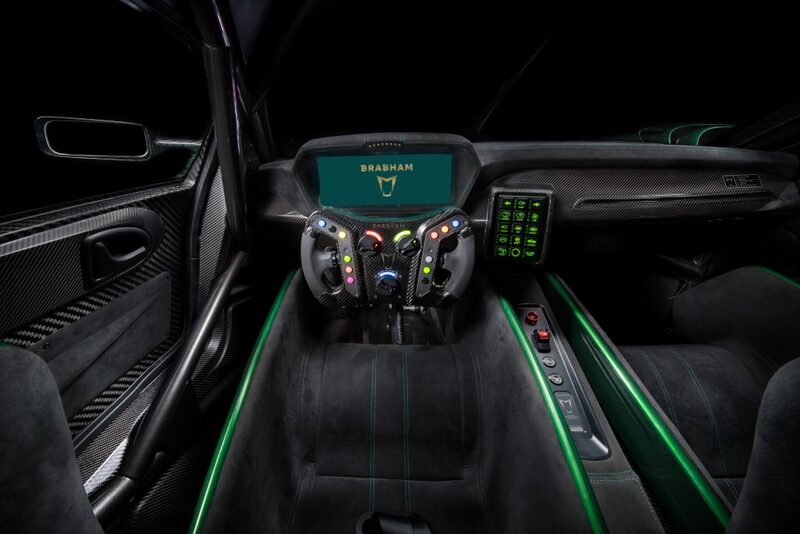 Those fortunate enough to own a BT62 will join the Brabham driver development programme, where their physical ability and determination will be raised to a place where the performance potential of both driver and vehicle can be fully exploited together as one. With a base price of £1m plus local taxes, and before options, production of the Brabham BT62 will be limited to just 70 cars in recognition of Brabham’s 70-year heritage; the first 35 of which will celebrate the 35 Grand Prix victories won by Brabham over its 30-year reign in Formula 1. The Brabham BT62 unveiled on the night was liveried in celebration of Jack Brabham’s green-and-gold BT19 and his historic victory at the 1966 French Formula 1 Grand Prix at Reims, the year in which he made history in becoming the first (and to date only) driver to win a World Championship in a car of his own construction. First deliveries of the Brabham BT62 are expected later this year. 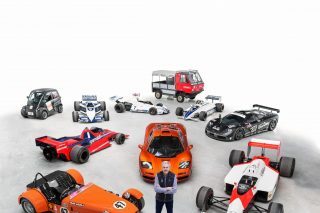 Led by multiple Le Mans winner, David Brabham, Brabham Automotive has been established as a manufacturer of high-performance vehicles which challenge and reward the driver in equal measures. 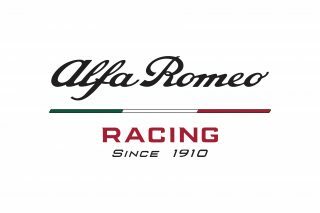 With a long-term business plan in place and a phased product development programme already underway, the company’s ultimate goal is to see the iconic Brabham name return once again to compete on the racetrack, with the 24 Hours of Le Mans firmly in its sights. Check out the dream track car of F1 racing legend and Indy 500 champion, Emerson Fittipaldi. Check out this book about Formula 1 racing’s watershed year, 1980.